Erma Catlin passed away, surrounded by her loving family, on Tuesday, November 27, 2018 at Life Care Center in Reno, Nev. at the age of 85. Funeral services will be conducted on Saturday, December 15, 2018 at 2 p.m. at Big Bend Lutheran Church, Big Bend Township, Minn. Interment will be in the church cemetery. 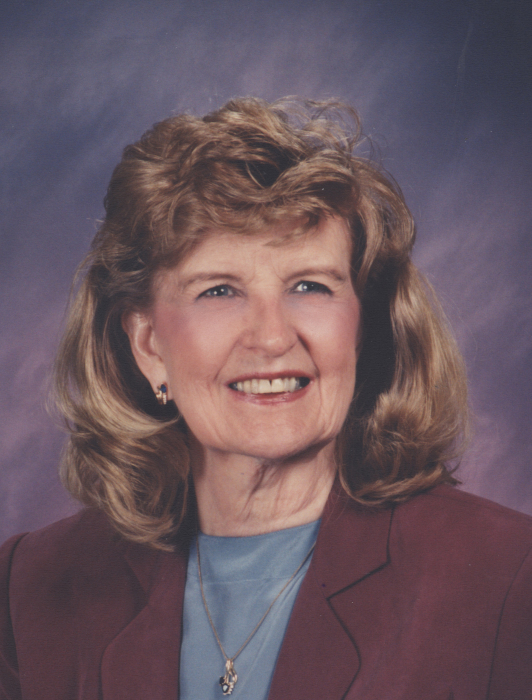 Visitation will be Friday evening, December 14, 2018 from 5 to 7 p.m. at Anderson-TeBeest Funeral Home in Montevideo, Minn.
Erma Geraldine (Eliason) Catlin was born on January 20, 1933 at home on the family farm in Swift County, Minn. to Bernt and Petra (Torgelson) Eliason. She was baptized and confirmed at Big Bend Lutheran Church in Big Bend Township, Minn. She attended country school and graduated from Appleton High School. It was while living and working in Minneapolis that a mutual friend arranged a blind date with Lorne Catlin. On August 28, 1965 Lorne and Erma were married at Woodlake Lutheran Church in Richfield, Minn. Keith, Suzanne and Kimberly were to enrich the lives of their parents as the years passed by. In 1976 the family moved from Minnesota to Washington state. Erma was an active member of Messiah Lutheran Church in Auburn, Wash. for nearly 30 years teaching Sunday school, participating in Bible studies and singing in the choir. Nothing in her life compared to the love she had for her family. She often traveled to be with her children, grandchildren, and other family members for holidays and special family events. She enjoyed music and singing, flower gardening, reading, daily crossword puzzles and black coffee. She was a woman of deep faith and had great pride in her Norwegian heritage. Knowing Erma was to know and feel love - and to feel God’s love shining through her. Her smile and genuine interest in getting to know people immediately set them at ease. She easily demonstrated how to reach out to others in good times and in bad – without judgment and instead with acceptance and encouragement. Erma was able to find common ground and connection with people from all walks of life. It was her grace and composure that brought out the best in all of us. In 2007 after suffering a devastating stroke, Erma’s family brought her to Reno, Nev. where she resided at Life Care Center until her passing. While there, she enjoyed visiting with her children, grandchildren, extended family and loving friends. Even in her limited condition, she touched the lives of all who came to know her. Erma is survived by her children: Keith (and Vicky) Catlin of Reno, Nev., Suzanne (and Bob) Schumitz of Idaho Falls, Idaho and Kim (and Mike) McNamara of Reno, Nev.; 10 grandchildren; sister, Beatrice Steinke of Appleton, Minn.; brother-in-law, Doug (and Carole) Catlin of Midland, Mich.; as well as numerous nieces and nephews. She was preceded in death by her parents; her husband, Lorne D. Catlin; sisters: Eudell Anderson, Verna Olson and Marilyn Thompson; brothers: Lowell, Ray, Gordon and Elmer Eliason; and special friend, Julius “Bibs” Mortvedt. Memorials are preferred to the American Heart Association or Big Bend Lutheran Church.